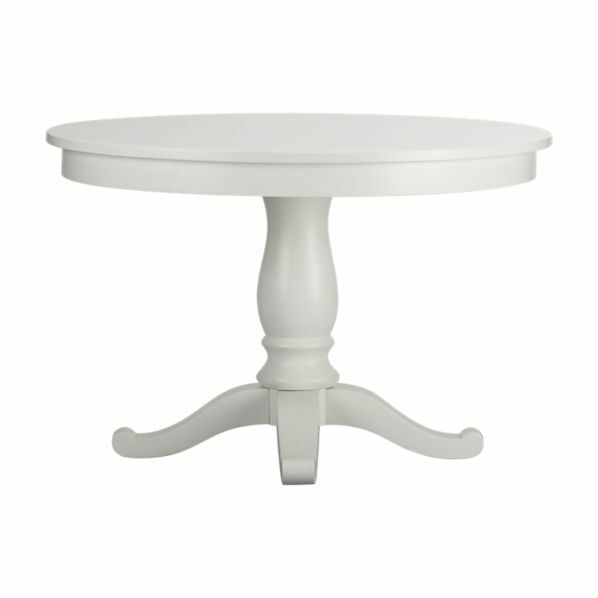 The classic round pedestal table is a staple in many homes in morning rooms, eat-in kitchens and on porches. Usually between 36-60″ in diameter, round pedestal tables have a traditional feel to them but they can also feel beachy or cottage-like depending on how the room is decorated. This Saturday I’m highlighting two pedestal tables, one designer and one retail. The “designer” table is from Stanley Furniture, a line we carry in the Decor by Denise studio. As part of the Coastal Living collection, this round pedestal table is shown in a Sand Dollar finish but comes with many beach-inspired finish options like Lemon Twist (sunny yellow), Morning Sky (a light blue) and Sea Grass (light green). 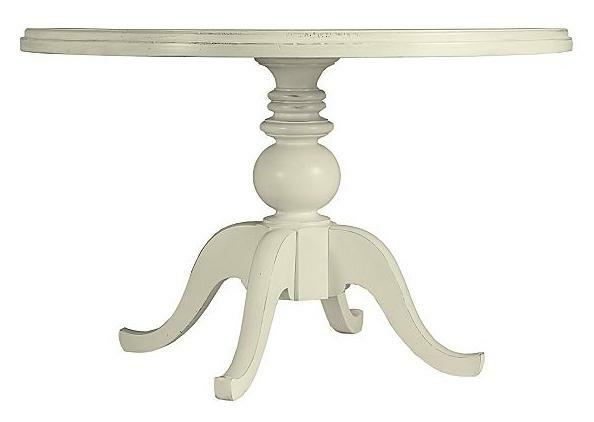 The slightly distressed painted finish options give this table a weathered and homey appeal. The Coastal Living Collection offers three distinct color palettes so that you can make your decor uniquely reflective of you. We have used this collection on many client projects where a simple white table just won’t do. The Young America Collection from Stanley Furniture is also great as it offers many of the same colors–giving our clients and us greater flexibility in designing an interior that is uniquely theirs.